Beavertail State Park - Jamestown RI 02835. It is amazing our gem of a small state park surrounded by the Atlantic Ocean and Narragansett Bay - Beavertail State Park. Summertime draws the crowds to the island of Jamestown RI and to the southern most point of the island is Beavertail. This day hundreds of people were lined on the Jamestown shores facing west. It is sunset time and not a moment to lose. Capture the moment, enjoy the view and listen to the thunder of the waves crashing on the rocks...hmm, there is a good reason so many appreciate this location. I love sharing this location with others but then again...we would love to keep it all to ourselves too. It is about Rhode Island real estate and the Jamestown views. Take it in and remember it because you can't take it with you! Beavertail State Park - Jamestown RI 02835. 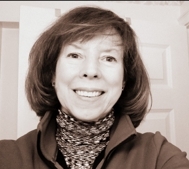 Ginny Lacey Gorman is a North Kingstown Realtor who works and knows the Jamestown RI geographic area of homes for sale, schools, happenings, important tidbits of information and businesses well. Waterfront, water view, ocean front, luxury and coastal Rhode Island real estate are her specialty. If your considering Buying, Selling or Relocating to Rhode Island and need a real estate Professional it would be my pleasure to help you! When you are in need of an internet savvy RI realtor® who sells homes in this real estate market, call Ginny today at 401.529.7849.